Community associations are constantly striving to implement new, more effective and more convenient security systems for their owners. One new trend that is starting to replace the magnetic cards, key fobs and code-key number pads controlling resident access is biometrics. 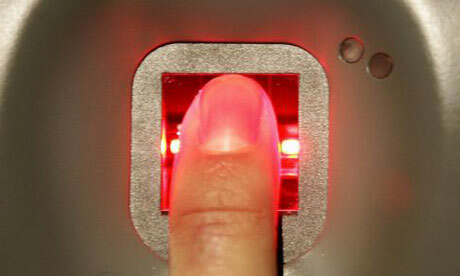 These biometrics systems are predominantly fingerprint recognition scanners. While there is a significant legal concern that comes with the use of these systems that community associations should be aware of, there are also contractual measures that may be used in order to address and mitigate these concerns. There is no doubt that biometrics will become more prevalent in the years to come, as it can be very effective and cost efficient. Biometrics offers owners the convenience of doing away with cards, fobs and codes to gain access to the property. Its deployment costs are becoming very reasonable, and it offers considerable savings by diminishing the need for security guards to monitor and control resident access at all of the entrances into a property. However, the inherent problem with these biometric security systems is that they are gathering and storing personal identification information. The U.S. Constitution guarantees individuals the right to privacy and due process, so community associations must be extremely careful with the information collected through biometrics (i.e., fingerprints). If an individual’s private information is compromised or provided to any third party – including the government – without due process, it can be found to be a violation of the resident’s constitutional right to privacy, which could have significant legal and financial repercussions for the association. Community associations that are considering using biometric security systems to provide a cost-effective and secure solution for resident access on their properties should understand this particular vulnerability. Associations should work with a qualified and experienced attorney in order to address these concerns with vendors of the biometric security systems. Attorneys can review and add language to the contract referencing that the association has been assured and guaranteed that the information will not be shared and is adequately protected. Realistically, there are no true guarantees that a breach in the vendor’s system could never take place and expose the information collected. However, by including indemnification clauses and other language in the contract, associations can work to ensure that they avoid taking on significant legal liability in their deployment of 21st century security systems for residents. Our South Florida community association attorneys write about important legal and business issues for community associations in this blog, and we encourage association members and directors as well as property managers to enter their e-mail address in the subscription box on the top right in order to automatically receive all of our future articles.